Sometimes it’s the little things in life that are the biggest indulgences. The late afternoon sun streaming through the curtains. A cat stretching on a worn armchair. A mug of warm chai in your hands. Delight in one of your favorite indulgences without all the sugar. 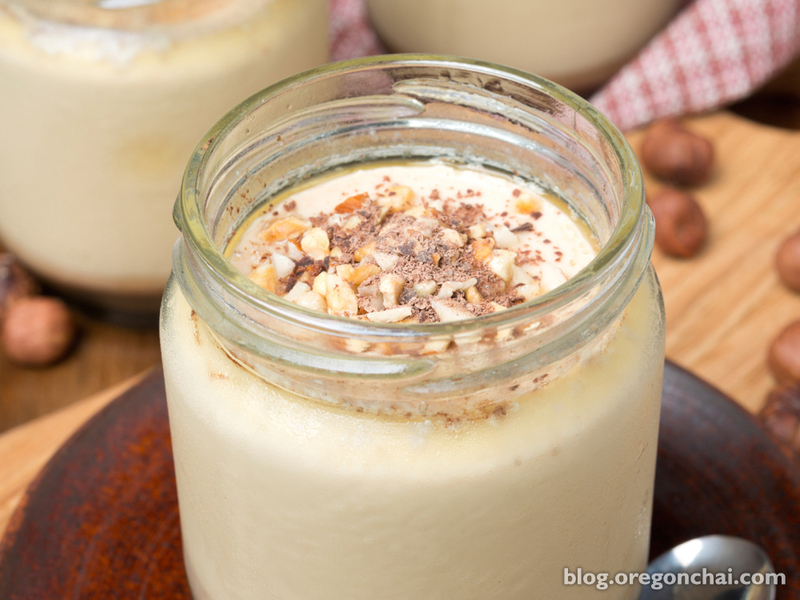 Oregon Chai Sugar Free Chai Tea Latte Concentrate has the same mix of subtle spice, black tea and creamy richness as the Original, sans sugar. Try one of the recipes below for more guilt-free indulgence with chai. Sip this decadent flavor combination of chocolate, chai and almond as a sugar free chai treat for a movie night in. Mix Sugar Free Chai Concentrate, milk and syrups with a steaming wand, microwave or stovetop. Pour into your favorite mug, sprinkle with cinnamon and savor. Cool down after dinner on a warm summer evening with this guilt-free sugar free frozen dessert. In blender combine ice, milk, Sugar Free Chai Concentrate and ice cream. Blend until smooth, top with nuts and delight in the taste of summer. Find other little ways to indulge with mood-boosting music to take you away for a moment, chocolate chai tea recipes to channel your inner child or a great book to enjoy with your iced chai.